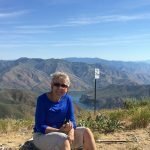 This is the third post in a Lifestyle Fifty series introducing lifestyle bloggers over 50 who are writing and inspiring women to live their best lives as they get older. 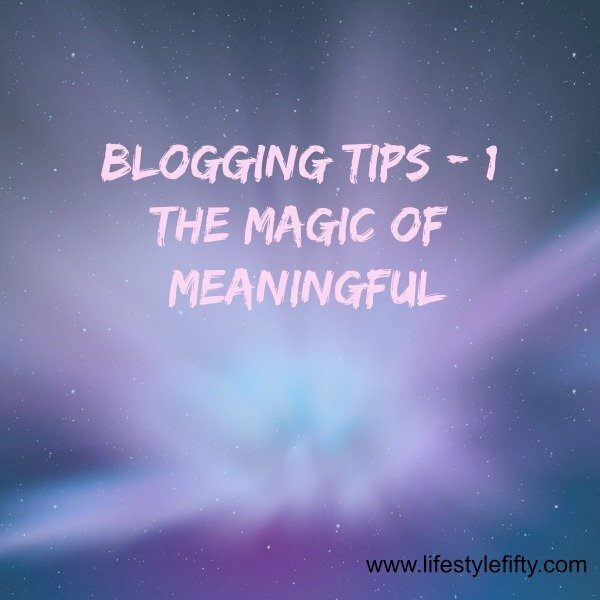 I think the best lifestyle blogs not only introduce something about the blogger and their life story but also help other women in a meaningful way. 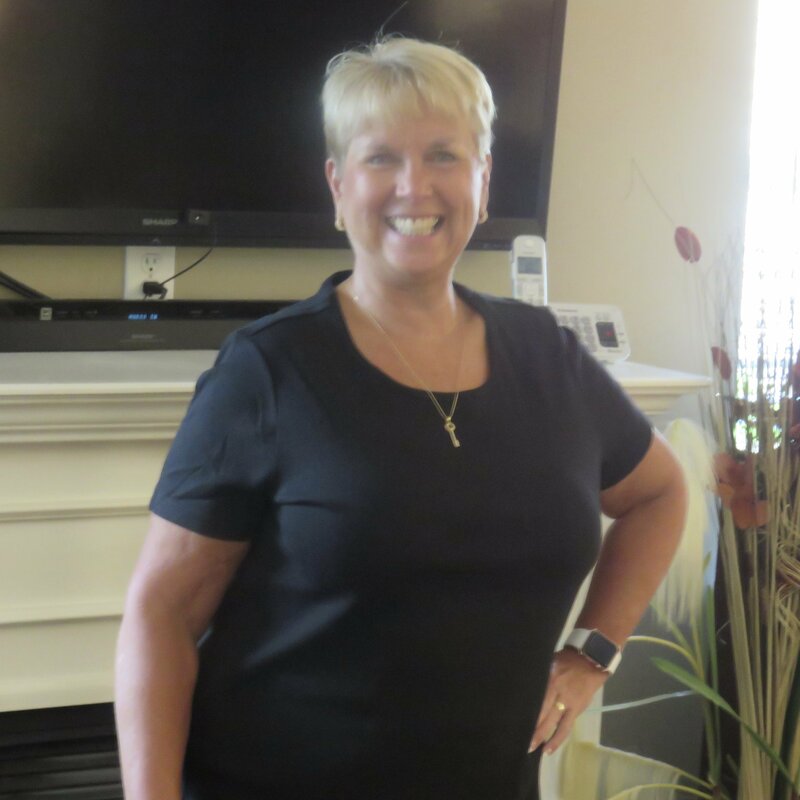 Women over 50 who blog are a growing demographic, an internet tribe that is feisty and fun. A community that is helpful and caring and willing to share advice about life, love, travel, fashion, and home making. 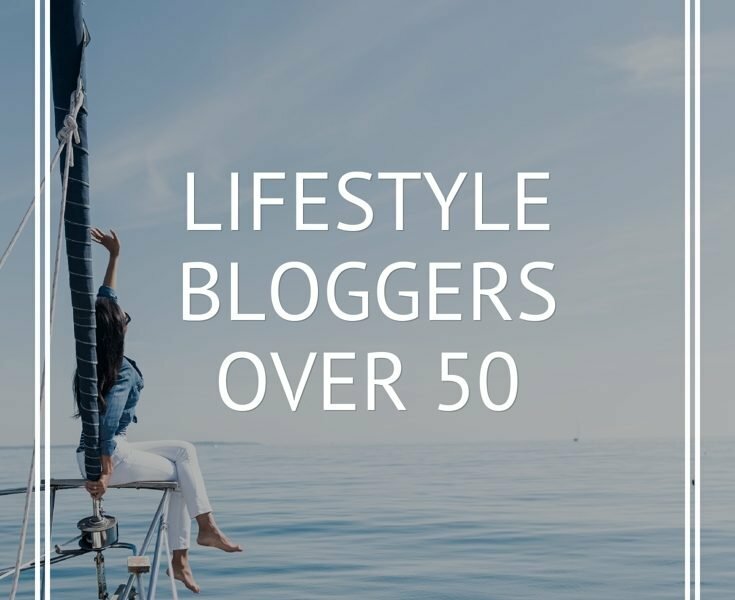 Today I’m happy to introduce 5 more talented and interesting lifestyle bloggers over the age of 50. I have always wanted to write but had a fear of sharing myself, so naturally, I started a blog. I started The M – Z of Me in 2013. Because I had such a fear of sharing my writing, I use my blog as a way to inspire others to get out and try new things, even things that scare them. I also write about creativity, which is a passion of mine and Vision Boards. Family posts creep in there too and some of my most popular ones are called Mommyisms which are quips from my mother. She is quite funny especially when she doesn’t mean to be. For instance, she was telling me how she wanted her funeral and what food there should be and she said that she couldn’t make the pie because she wouldn’t be there. I began blogging in 2010 aged 61. 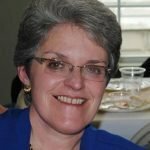 I was socially isolated after retiring from my career in K-6 education and thought having a blog would help me connect with others. And, blogging has done that for me in a few ways. I attended two Australian blogging conferences – in Sydney in 2011 and Mebourne in 2012 – and got to meet ‘in real life’ so many people I already ‘knew’ from their blogs. 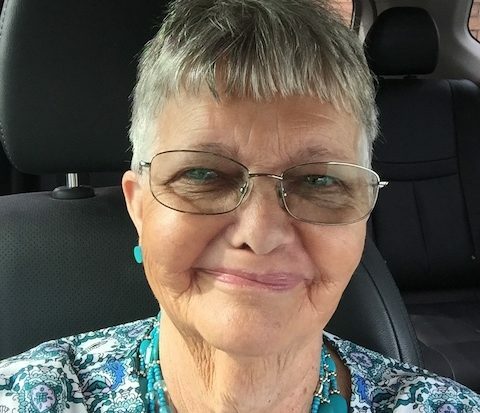 Making those connections, and more over the years have supported me in ways in which I may not have imagined without blogging.But, back to more of what the blog is about! My career in education was always centred on helping families and I hoped to continue that via blogging, however it was not the success in terms of impact that I had hoped. It soon became clear, that as a mature-aged blogger I was followed for my life experience. 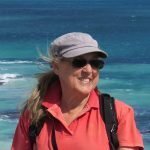 So, in making my blog ‘about me’ but also about ‘stories from my life.’Making a huge life transition in 2015 – moving to a new area away from family, selling our house, and fully retiring from paid work in education – I committed to blogging every day for 365 days as I needed purpose and routine in my day. It helped a lot. In 2016 and beyond, I reduced the number of posts, making a link up from my blog each Monday from September 2016 onwards. It continues each Monday. Blogging about my cancer diagnosis in May 2017 and surgeries along with what I have learned from THIS most challenging of life’s changes has reiterated how much I both need to blog and have others connect with me. 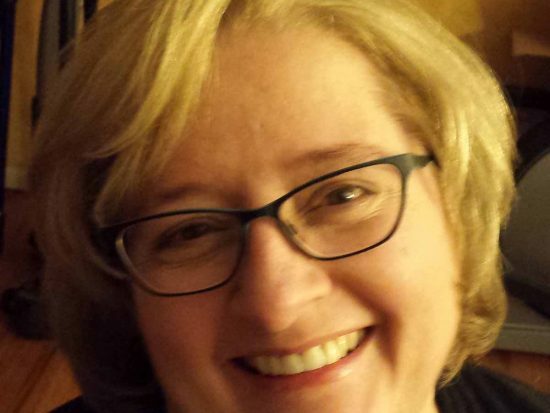 I have called my blog: Denyse Whelan Blogs …To Connect. I like to think Sharing Our Stories is what keeps us as a community on-line too. This link is to my page with all of my cancer stories and what I have learned from having cancer. 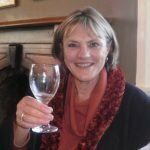 I am not a cancer blogger but felt I would like to share this over one post : Denyse and her cancer story. I started my blog about 2 1/2 years ago. When I retired as an oncology nurse I decided I wanted to start a blog with my daughter. I had read about people making money on their blogs and I knew daughter was thinking about going to work and I thought we could make money by blogging. I had no idea how hard that would be. Daughter and I blogged together for the first year but then she went to work full time so I do most of the posts now. 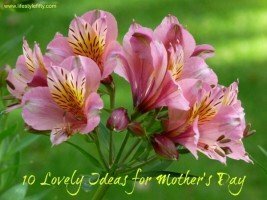 A Mother a Daughter and Life is a lifestyle blog and I write about whatever is on my mind at any given time. I continue to blog even though I haven’t earned my first penny because I have lots of thoughts about a lot of thing plus I enjoy my fellow blogging friends. In 2013, my husband and I left the United States corporate world and moved to coastal Ecuador. I started my blog just before our move but rarely wrote. I began blogging regularly in 2017 while spending seven months in Ecuador’s Andes mountains. 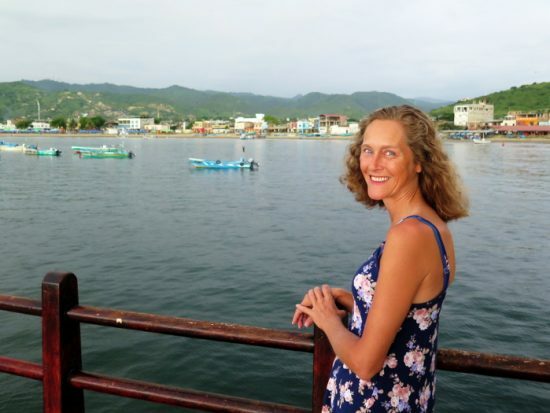 On Emily in Ecuador, I share the country with readers, including good deeds, flora, fauna, ecotourism, parks, beaches, mountains, towns, and festivals. I live in a fishing village surrounded by a national park. Humpback whales mate and birth here, endangered sea turtles lay eggs on local beaches, vendors on tricycles sell almost everything, and history is kept alive through museums and archaeology projects. Sharing Ecuador through my blog helps me see my surroundings through fresh eyes. I am working on my photography skills to better show what I am describing. I also love sharing positive work people are doing to help humans, animals and the environment. One topic close to my heart is a local orphanage so it makes fairly regular appearances on the blog. Stop by and let me know what you would like to see – I am always looking for ideas. 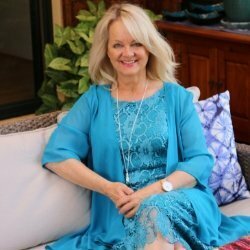 I’m Jodie, the voice behind Jodie’s Touch of Style. 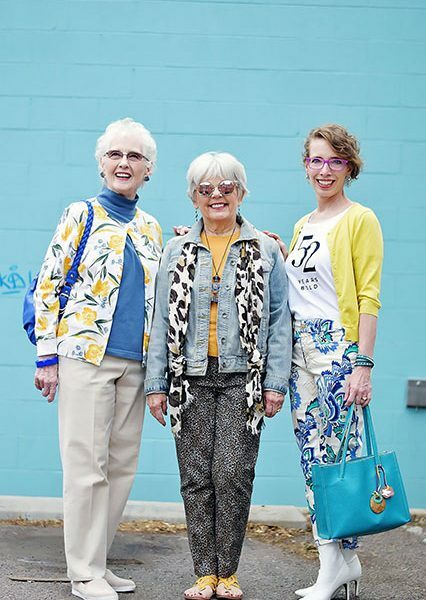 I showcase not only myself on my blog (I’m the 50+ model), but also my mother, Charlotte, (the 80+ model), and my stepmom, Nancy (the 70+ model). I truly believe that it’s never too late to look great. Just because your driver’s license says a certain number does not mean that you can’t continue looking fabulous! In the same thinking, your beauty is not dependent on being a specific size. And on top of it all, spending a ton of money on your clothes does not guarantee that you will look and feel great. EVERY woman I have ever met is wonderful and has a great story to tell. And since we are visual animals, we should use our clothes as the table of contents for what’s inside us. I started this blog because I realize that not everyone loves to plan their outfits and go shopping, so I wanted to give each and every woman a place to visit to get inspiration. The funny thing, is that since I’ve been blogging, even my idea of style has changed. While I used to think there was only one right way to dress, I now realize that we should embrace other styles and trends. I think our style can evolve just like how our ideas about life can evolve. I hope you join this style journey with my family as I always say the more, the merrier. I also have a fashion style quiz that I created to help others get an idea of their style as it correlates to their life. If you are a woman over 50 who writes a blog and you’d like to be included in this series Lifestyle Bloggers over 50, please let me know in the comments section below. Hi Johanna! I’ve just started reading your blog and am happy to meet you 🙂 I’m still trying to get through all your posts, so I don’t have much to comment on at the moment, but this one is a great place to find other interesting women who are blogging! So, thank you for introducing these women to your readers. I hope to get to know them all, and you, better in the coming weeks and months. Take care and have a nice week. Hi Cheryl, thank you and welcome to the community! I’m so glad you’ve found Lifestyle Fifty and look forward to hearing from you often 🙂 I hope you have a lovely week too. Hi Johanna! I’m not yet a blogger. Maybe a blogger-to-be I have been interested in doing so for a while so here I am again checking out your group of inspirational ladies. Wow…. what an amazing group!!!! Thank you for sharing. I knew Jodie and Denyse but the others are all new to me. Off to check them out now! Hi Janet, great to introduce you to new bloggers 🙂 Thanks for popping by! Great post! Being over 50 and a blogger I’m always on the look out for new reads. I’m a food blogger so nit sure if I fit into this category but would love a shout out. I’ve really enjoyed meeting new women through your wonderful series, Jo. Thank you so much for featuring my blog. I look forward to meeting more women through your pages in the future! So wonderful when we can inspire one another! Thanks for initiating these gatherings! Thanks Michele! It’s been a privilege to initiate these gatherings and meet so many other women over 50 engaged in a similar pursuit. What a great group of bloggers Jo. I’m loving this series. While I know quite a few of the ladies featured so far, there are a lot that are new to me! I look forward to visiting their blogs and getting to know them. Thanks so much! Thanks Jan, as always much appreciated. 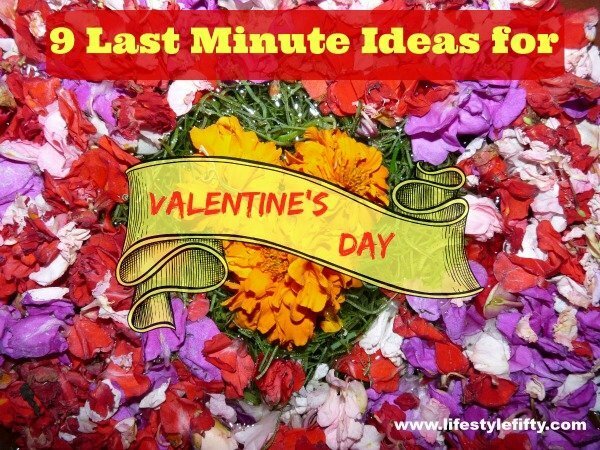 Thank you so much for including my blog. It is wonderful being in such great company. Another fabulous roundup of women, Jo. I’m enjoying this series and meeting some new bloggers as well as blogging friends. Thanks for sharing at #MLSTL. It is always a pleasure to have you join us. Have a great weekend! Hi Sue, thank you! And I look forward to #MLSTL and some great new reads every week too. It’s so great to see many more over 50 bloggers here Jo. There are a couple I already know about and a few I haven’t. I will head over to check them out. Thanks Kathy – I know we are a growing tribe. Isn’t it great! Hello Jennifer, and thank you so much. A fabulous line up of 50 plus bloggers Jo. Thank you. I am off to visit them now. Have a great week. Ladies, good job. I am a male taking a similar blogging path as yourselves, albeit slowly as everything is very, very new. Jo has given me the very gentlest of push along’s recently to which I owe her a debt of thanks. If you are featured here, you obviously deserve it. Take it easy. Thank you for bringing the Over 50 blogger to light!! We are an empowering force! I would welcome the opportunity to be recognized by you! Thank you for inviting me to be part of this series Jo. I am delighted to be in such fine company! Thank you so much for contributing Denyse 🙂 It’s lovely to see you here and your story and cancer journey are inspirational. Thank you so much for this wonderful feature!! Thank you for contributing, Jodie 🙂 Love your style!